Here is a link to our website and facebook where you can find out more information about Alone and it's continued development in the near future. FOR THOSE HAVING TROUBLE OPENING THIS .ZIP!!! Use 7zip, right click and extract. If you have ANY issue downloading or playing Alone, please do hesitate to contact me for help! A game by Bryan Cohen and Dan Wallace. Requires PC Gamepad, Oculus Rift and Headphones. Use the left control stick to move your character. Press the 'A' Button to interact with glowing yellow notes and to interact with yellow arrows (look for the sparkle). Reading notes progress the story and the yellow arrows move you to the next location. 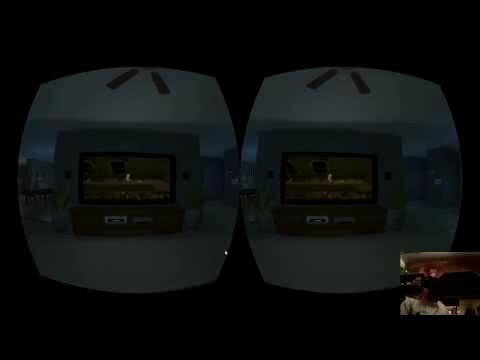 Use your Oculus Rift to look around while playing. Thank you for taking the time to download! Enjoy! Neither of us actually has an Oculus Rift so this whole game was developed without the use of the hardware! As a result of this, we don't have any awesome gameplay footage! 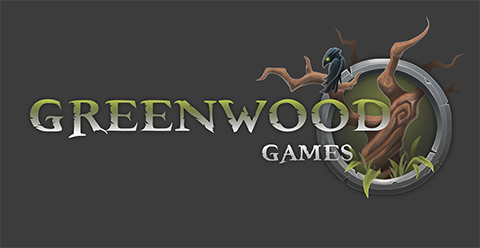 If anyone feels compelled to review our game, please let me know on this thread or contact me via PM! We would be eternally grateful. Home alone on a Friday night the slow winding of the midnight hour begins to drive you to madness. Leaping from the safety of your couch you recall your recent purchase of the latest adventure horror video game. You begin to delve deep into the eerie story. As the game progresses so does the feeling of a dark presence coming to life around you. A dark presence from the game. An immersive VR experience in which the sights and sounds of your video game come alive in the comfort of your own home. 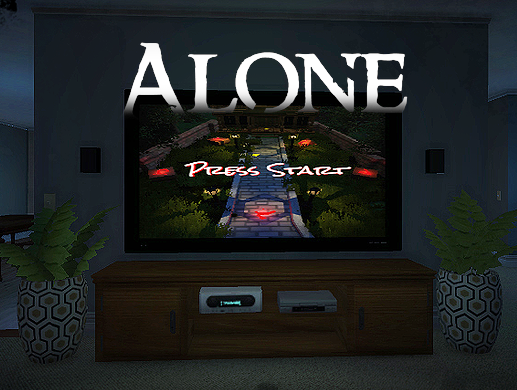 Players remain stationary for the duration of the experience and use a gamepad to navigate the adventure horror game. Advancing will spawn a variety of creepy and frightening events in your house. If you can make it to the end, you’ve won. Like the concept, but it might work better if the control/screen were closer, given the SD rifts resolution. Also allowing the player to move around the house could add a much more suspenseful experience. Excellent idea. Reminds me of Jumanji. Can't wait to try it out. Hey everyone. Here's an update for todays milestone. Above is an early gameplay test - I apologize for the lack of sound and the missing dynamic 'spooky' events - they are being fine tuned for next weeks milestone. Really liking the simulation component of this game. Looking forward to playing it! I assume the looking around is a reaction to sounds, but I'm not getting any sound on the vid. Okay... hah. This is a fun idea. I'm always amazed at how easy it is sometimes to disconnect from the room around me when wearing the headset. There comes a point where I'm in there and I think... my real body could be anywhere. Logically I know I'm in (the room) but... I could take this headset off and be somewhere completely different. So, being in a living room gaming while I'm in a living room gaming? That could get weird. Could do some cool "Eternal Darkness" style mind tricks. Still learning the ins and outs of Riftness. How do you recommend viewing your YouTube video? It's pretty clever because once you absorb yourself into the game on TV, you quickly forget your playing in a virtual world and that leaves you vulnerable to having creepy things happen when you least expect them too. At the last Silicon Valley Virtual Reality Meetup (SVVR #3), Matterport's CEO, Matt Bell, released Oculus Rift versions of some of their models. I hope to take delivery of a Matterport camera in September and will be taking requests for scans from folks here in the Oculus forums. The models could be extremely helpful to capture ideas and actual details for environments you are building. In this way, a real world environment model with accurate spatial relationships and VR views is brought to your development studio. I will be very interested to see how other developers use these models, especially in cases where an experience is built directly into a model with little or no modification. Just remember, :arrow: "When the going gets weird, the weird get going." The preschool model was a good reminder of how messy and random real world locations are vs. rendered. Full of questions about time it takes for scanning, model cleanup etc. but don't want to hijack this thread. Please keep us posted, especially after you get the cam. Thank you everyone for your feedback and kind words! It was very much appreciated. Alone is finally complete and download links are in the original post. that was super cool. I was expecting to see my hands and a controller when i looked down, but other than that the feeling of playing a game on a big screen in a living room like that is very convincing. It got to be quite creepy, and i can see that this has a lot of potential if you continued development on it. I'm enjoying all the concepts of playing a game within a game (or watching a movie in the Rift or an old arcade style). I see a lot of potential uses! Thanks folks! 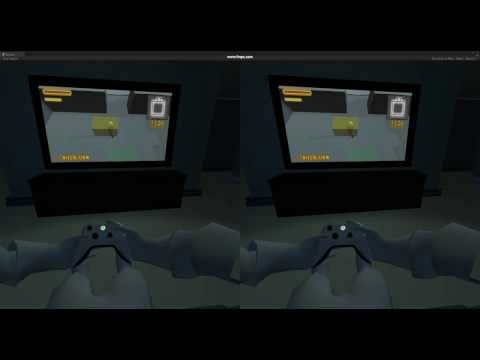 The 'seeing your own controller' bit was just too scopey for the gamejam, but moving forward it is something I would love to add. A big part of the development of this game was nailing the feeling of sitting on a couch in your living room - forgetting about the 'Virtual' and playing more towards 'Reality'. I'm happy to hear it was a success! I tried downloading your game from both places but each time when I try to extract it is saying alone.zip is not a valid compressed file. Hmmm interesting. I can't think of why you would be unable to open it. Are you on a Mac? I guess I don't get it. After traipsing about a bit, clicking on arrows and squares as I found them I ended up with something on the screen too dark to make out. I could see that there was movement as I moved the stick but nothing could be made out and nothing I could think of changed the situation. Through it all, about 20 min, nothing in the room I was in visibly changed at all. Hmm, sounds like a bug. Do you remember what you were doing before that happened? There shouldn't be any point in the game where you can't do anything. Hmm, sounds like a bug. Do you remember what you were doing before that happened? After a dozen or so selections should things have begun to happen in the house/room? Ah, I think I may know the room in question. If it's after you get to the second floor, try moving towards the right side of the "dark room". There should be a opening which will lead you into the next room. Yes, it was shortly after getting to the second floor. I tried exploring and probing what should have been the periphery of the room blind but could find no opening out. Finding a door in the right side of a dark room is difficult when you can't see your avatar. :-) It needs to be fixed, I'm afraid. How far in do you need to go before things start getting spooky in the living room? That is the point, right? I'm a programmer from the late '60s to about '10 and imagine debugging interactive stuff like this is hell itself. Thanks for the feedback! You are spot on about it being difficult to see, or to basically identify where you character is in that room. For the next release build (whenever that may come) I will be sure to fix it. Thanks! Throughout the first portion of the game, the spooky events you will encounter will lean more towards auditory rather then visual. If you haven't tried playing with headphones on, I highly recommend it! Is it necessary to pass through the blind room to get past the first portion and on to the visual or is the second portion yet to be implemented? I had to pause half way though because it got to be too much! I did go back and finish it after a few minutes - well done! Really great work, the idea of playing a game in a VR space is so great - and so meta! And what you did with it really pushed it to the next level. I would have liked to have had a body holding a controller (which I see your first milestone had)...hopefully you can continue to polish this and bring back those details. loved the game! I wish it was more spooky tho hope you continue development and make it a huge game! The omission of the hands and controller were primarily due to time constraints - it is definitely something I wish to implement in the future as it further adds to the immersion level! I've seen some incredibly awesome stuff from others in the game jam and I've gotten a lot of good ideas for moving forward! You missed an excellent opportunity to have a monster kill the game toon and then very slowly look at you and climb out of the screen into the room. After it was about 2 feet from you it could disappear and then wait ten seconds and a friendly sounding female could appear on the TV and say, "I hope you enjoyed the game and thank you for playing. Don't forget to play the bonus game directly behind you." Of course, when you turn around Mr. Nasty proceeds to scare your pants off in a brutal attack. Still very fun though, nice game.